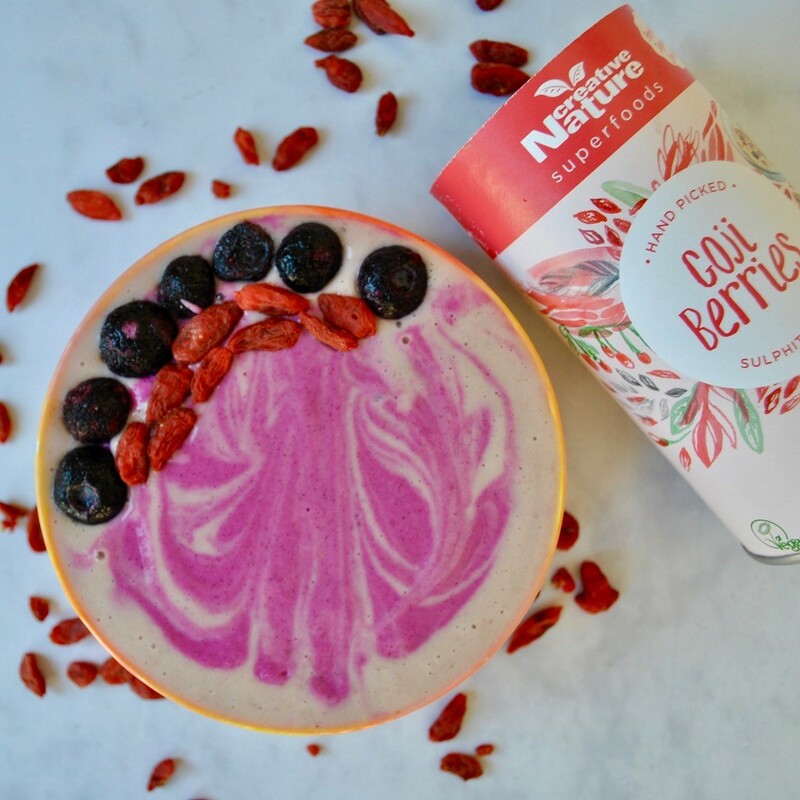 Looking for a healthy smoothie bowl to make this spring as the weather starts to warm up? Then you’re in luck as we have a lovely recipe for you to try out that is super easy to make and enjoy! With all smoothie bowls- top with any toppings of your liking- superfoods, berries, seeds… whatever you like! Blend together the banana, yoghurt, milk and protein powder. Top with blueberries and Goji berries as well as any other toppings of your choice. Thank you to @brechernutrition for this recipe!